Several years ago, while the mixed martial arts (MMA) craze was at it’s height, an MMA dojo opened next to the gym I go to. Naturally, when I go to the gym, I wear my United Studios of Self Defense shirt to represent the dojo, and understandably, members of the MMA school wore their logos as well, so their students were easy to identify. I met the owner of the school a few times, and he seemed nice enough. He trained with Chuck Liddell, a well-known MMA fighter and a legend in the industry, so when the school opened he made an appearance to sign autographs, take photos, and conducted a training session. Within a couple months, the school was packed, likely making a significant profit in the process (which I do not fault him for in the slightest). The owner bought his three assistants Hummers, all adorned with his school’s name on it. He bought himself a nice house in Ruby Hill, a nice neighborhood in Livermore. Occasionally some of their students would taunt me by telling me how they’re the future of martial arts, and how in a few months I’ll be out of business. Even my own students asked me about it. I told them to not worry, I’ve seen these come and go, and they’ll likely be closed within a year or so. Ten months after their grand opening celebration, the school closed. This school, like many others, signed their students up for six month contracts (which by the way, we don’t make you do at USSD). Well, after a month or two, students realized one undeniable fact, GETTING PUNCHED IN THE FACE HURTS! While there is certainly that small demographic I mentioned who will continue despite this fact, certainly not enough to maintain a business model. The vast majority of their students, after realizing that getting punched in the face hurts more than it looks on tv, simply didn’t renew their programs once the agreement expired. Many people get a great deal of entertainment from MMA, and that’s great! I myself have hosted parties at my house for notable UFC events, and had a great time. If you are a 20-something year-old looking to compete, go for it! 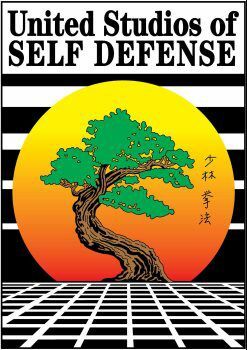 However, if you’re looking to learn the classic martial arts, learn self-defense, teach your child discipline, focus, confidence, or any of the other dozens of reasons people start with us, you’d probably be better served with a model that’s been tried and true for millenniums, rather than one that’s been proven to be a roll of the dice at best.